I haven't posted about the show since episode 39 (sorry!) and what a run they are having! I was so impressed by this run of episodes I signed up as a Patreon supporter. You should too - so worth it. I have the Kyle Beachy ep (45) queued up and ready to go! Steve Paulson's piece for the LARB is fantastic, David Foster Wallace in the #MeToo Era: A Conversation with Clare Hayes-Brady. Clare's contributions to the world of Wallace scholarship shine through in this thoughtful interview. To The Best Of Our Knowledge - Sep 2018 - Rethinking David Foster Wallace, Audio and articles about Wallace. It's the 10th anniversary of his passing. I expect there'll be quite a few things over the next few days. 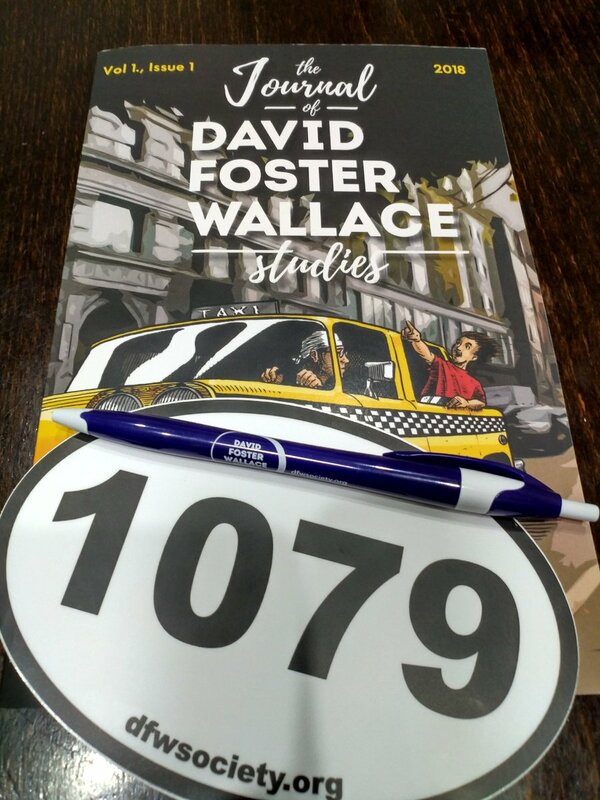 DFW19, the annual David Foster Wallace Conference at Illinois State University is this week! Room A is our Livestream Room. If you're assigned to this room, you should have the opportunity to stream your presentation to our Facebook page. We've only assigned presenters here who expressed a positive interest, but you are not required to have your presentation recorded. I'll be tuning in to a few of these (if I can stay awake / get up early enough).